The death toll in the hooch tragedy that hit two adjoining districts in Uttarakhand and Uttar Pradesh rose to at least 61 with more people dying of the spurious liquor they drank at a Haridwar village, officials said. Officials fear the number could rise as the viscera examination on 20 more bodies is yet to be conducted to find out if these too were alcohol-related deaths. Twenty-five of the victims died in Balupur and its neighbouring villages in Uttarakhand's Haridwar district, state's Additional Director General (Law and Order) Ashok Kumar said. According to an Uttar Pradesh government statement released in the evening in Lucknow, 36 died in Saharanpur district which adjoins Uttarakhand. The Saharanpur victims had returned home to their villages in the district after drinking the spurious liquor in Balupur on Thursday night. Earlier in the day, Saharanpur officials had said 46 people from the district died due to the consumption of spurious liquor 35 in the district itself and 11 more at a Meerut hospital to which they had been referred. In addition, the viscera examination on 11 others was yet to be performed, officials had then said. In the evening, however, the district authorities said while liquor poisoning had been confirmed as the cause of death of 36 people, the viscera test needed to be performed on 20 more bodies. The viscera examination is in addition to the routine post-mortem. 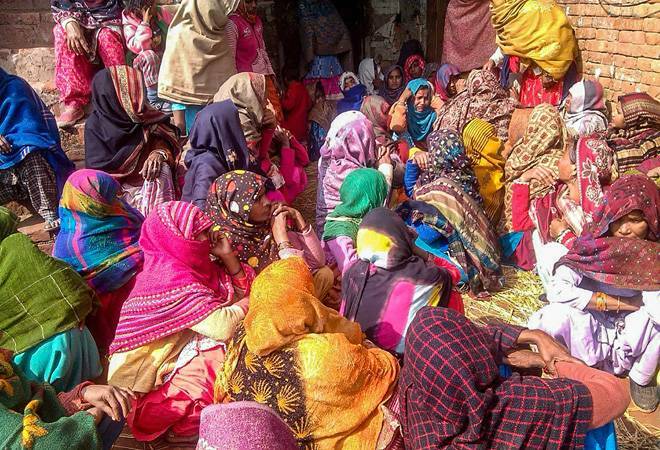 In Uttarakhand, about 15 people are still under treatment. Most of the victims had consumed the liquor Thursday evening after the `tehravin', the 13th day of mourning ritual, following a relative's death in Balupur, officials said. This may have led to more casualties, an official said, but the investigation into this is still on. Both states have suspended administration and police officials for alleged negligence and ordered probes. Earlier, Saharanpur district magistrate Alok Pandey said people from Nangal and adjoining villages in his district had started falling ill when they returned home from Balupur. Many of them were not immediately admitted to hospital as the area was hit by rain and a hailstorm, he said. Up to late Friday night, 16 people had died in Haridwar and 18 more in Saharanpur. By Saturday afternoon, the combined death toll had risen sharply. Chief Minister Yogi Adityanath has ordered departmental action against district excise officers of Kushinagar and Saharanpur, the state government said. Four Saharanpur excise officials have been suspended. Both states announced drives to curb the sale of spurious liquor.